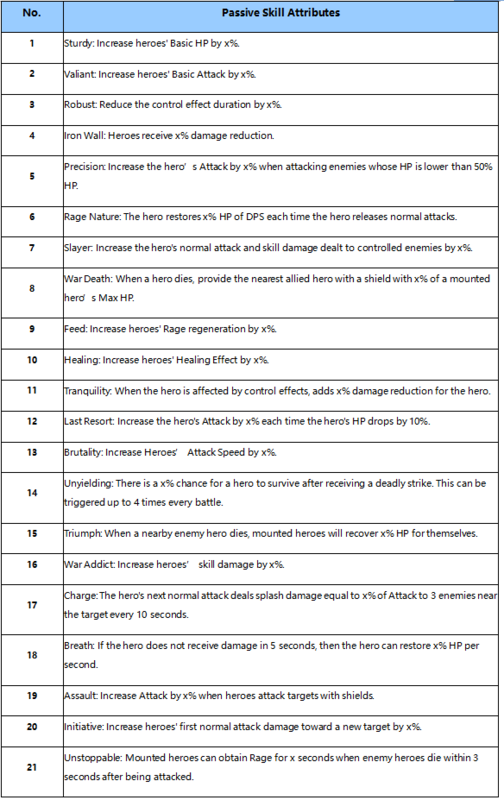 HP: Covert into heroes’ Basic HP at a certain ratio according to the mastery type of mounted heroes or lords. 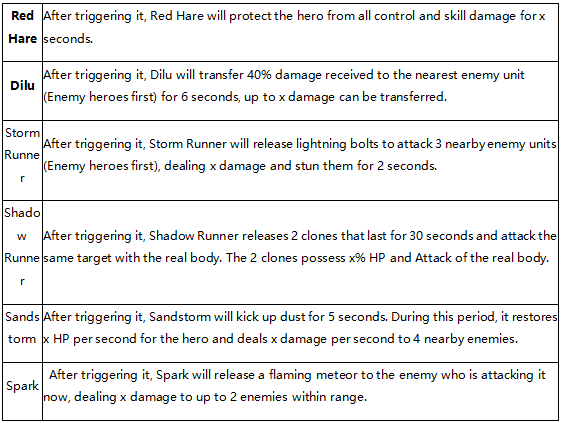 DPS: Covert into heroes’ Basic DPS at a certain percentage according to the mastery type of mounted heroes or lords. Passive skills can affect mounted heroes directly through mounts. There are 21 types of skills. 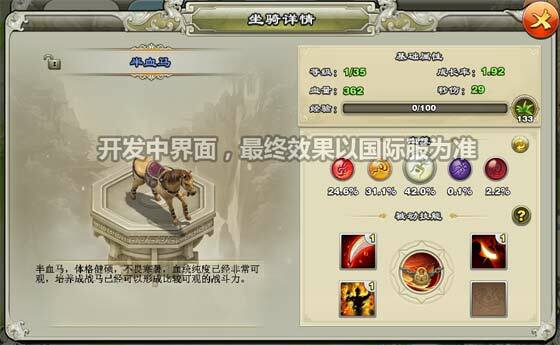 One mount can have up to 4 types of skills and the highest level of every type of skill is Lv.3. 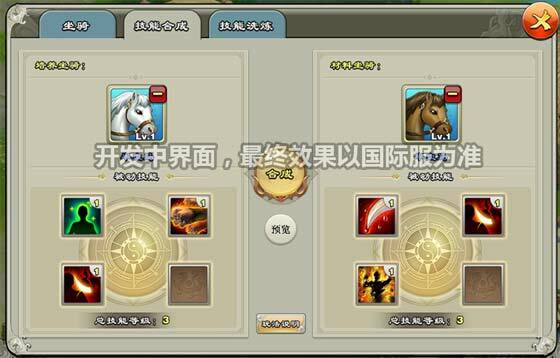 By combining skills, players can increase the skill type and level randomly. 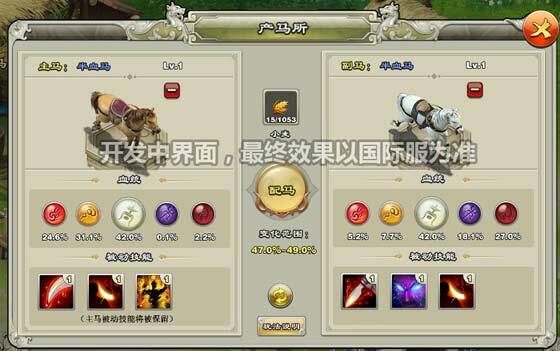 The skill type can be changed randomly through Taming Tokens. Every famous horse has exclusive skills. The skill level is Lv.3. 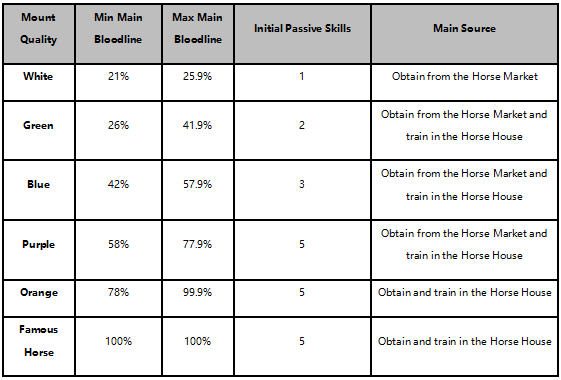 The corresponding exclusive skill level is unlocked through the overall skill levels of passive skills. The release timing is obtained randomly when a famous horse is generated. It can be changed through items. 1.Release when being attacked by enemy heroes. 2.Release a skill for the first time. 3.HP is lower than 30%. Main Scene Entrance: The portal above the main scene. Quick Interface Entrance: The icon“Horse Ranch”in the bottom right corner. 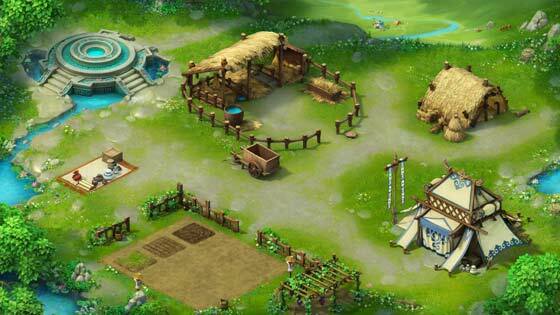 Sow seeds on the plough land to obtain the corresponding crops and fodder. Initially, there are 5 blocks of land. As your planting EXP increases, you can unlock 9 blocks at most. 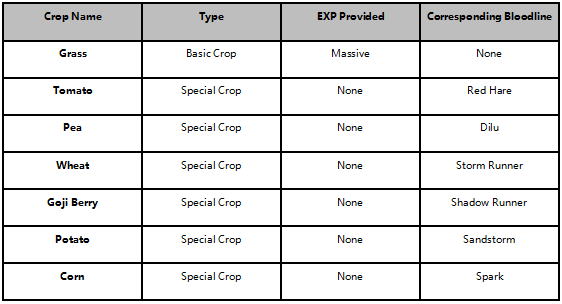 There are 7 types of crops. Sow the corresponding seed to obtain the corresponding crop. In the Horse Market, you can use lassos to catch horses. The horses caught will have random qualities and bloodlines. When you use lassos to catch famous horses, you may receive the corresponding famous horse pages. Players can receive 3 Normal Lassos and 1 Advanced Lasso daily for free. Normal Lassos have a lower chance to catch horses. Advanced Lassos have a 100% chance to catch a horse. Famous Horse Pages are used to replace a mount's main bloodline into the corresponding bloodline recorded on the page. The Horse House is a place where you can improve your mount's bloodline. Two non-famous horses of the same quality and main bloodline can be paired to obtain a horse of a better main bloodline. When the main bloodline is increased to 100%, you will receive a famous horse. 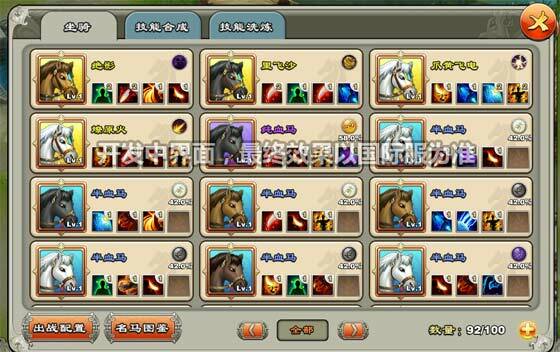 The stable is a place where you can keep your mounts, set battle mounts, synthesize passive skills and purify skills. Initially, there are 50 bag slots. 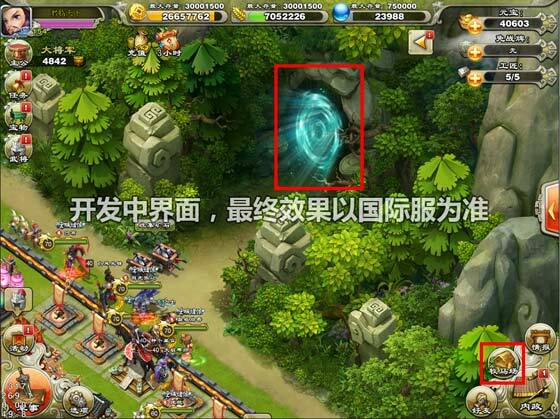 Players can use Ingots to unlock more slots until there are 300 slots. In the mount details panel, you can check the mount's model, basic attributes, bloodline, passive skills and exclusive skills. 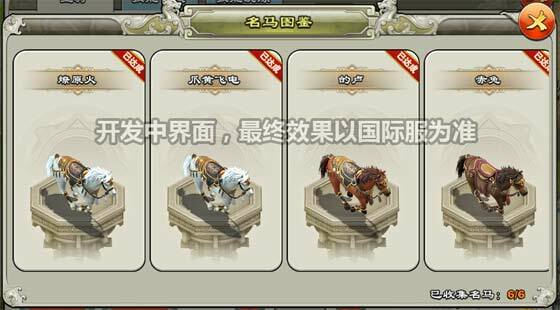 By riding a mount, heroes can receive attribute and passive skill bonuses from the mount. 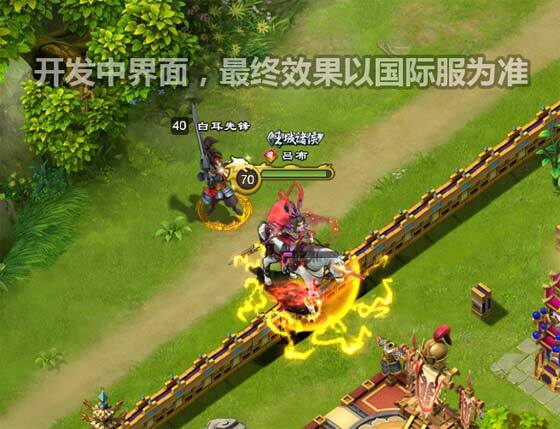 Famous heroes can also release exclusive skills in battle. In the Famous Horse Gallery, you can check the final state of the corresponding horse. 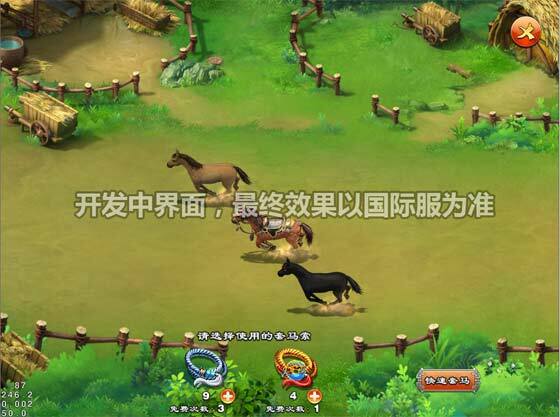 By consuming a Secondary Horse, players can merge the two horses' passive skills to obtain a higher overall skill level. The higher level skills may be dropped in the process. 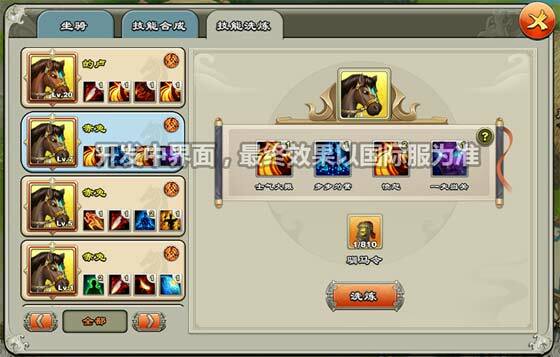 To reduce the chance of losing levels, you can use two horses with the similar overall skill level. 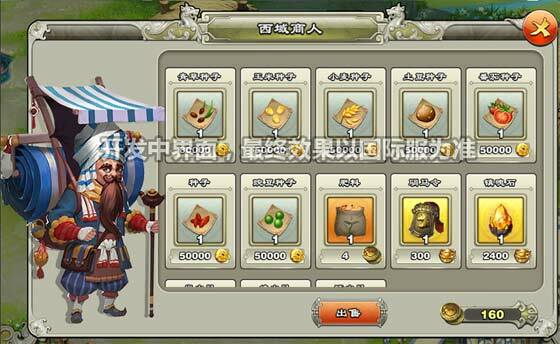 Skills can be reset with Taming Tokens to generate new skills from the skill bank. 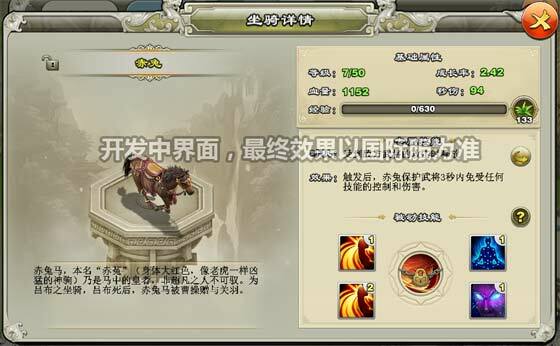 After resetting skills, you will receive new skills different from the original ones and the skill level will stay unchanged. The Western Dealer sells seeds and rare items. This function has not been unlocked. Please stay tuned. 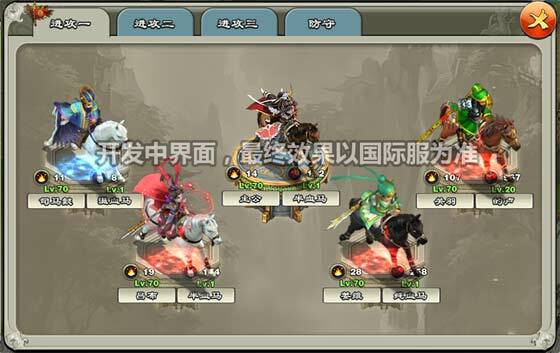 After setting your battle heroes and mounts in the stable, you will find the corresponding changes of your hero model in the main scene or battle.